Iranians are preparing to mark their cultural winter feast traditionally called Yalda Night (Shab-e Yalda or Shab-e Chelleh), a celebration with ancient ties. The inherited winter feast commemorated on the winter solstice reveals the integration of nature into the human life cycle among Iranians. Yalda Night (Yalda Eve), as the longest night of the year in the Northern Hemisphere, is commemorated on or around December 20 or 21 each year. ‘Yalda’ (in Syriac, a dialect of old Aramaic language means birth) marks the birth of winter and the triumph of the sun as the days grow longer and colder. According to Iranian mythology, from Yalda night forward, days grow longer. This celebration, based on the Iranian calendar, comes in the Persian month of Day, named after the pre-Zoroastrian god of creation and light (Deity). 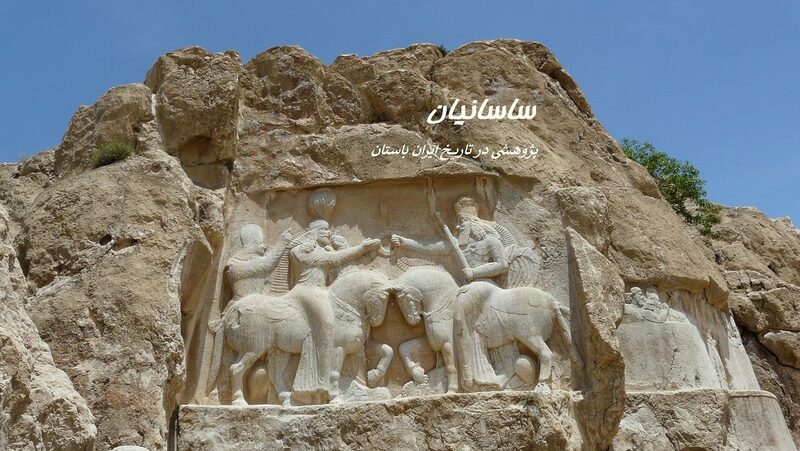 Yalda has a root in Zoroastrian belief, to be exact, Mithraism religion. The Mithraists believed that Mithra, the Persian god of light and truth, was born to a virgin mother in the morning of the longest night of the year, symbolizing the Sun god overcoming the powers of darkness. Having the belief, ancient Iranians gathered in caves throughout the night to witness this miracle together at dawn. They were known as ‘Yar-e Ghar’ (Cave Mates). According to some beliefs narrated in Persian poetry, many unpleasant events such as the separation between loved ones, loneliness and waiting would be over after Yalda Night. Nowadays,Yalda has become a social occasion when friends and family gather to eat, drink and practice bibliomancy with the poetry of the highly respected mystic Iranian poet, Hafez. 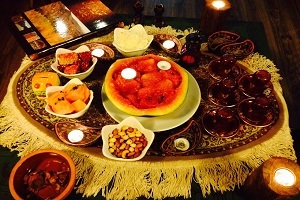 Fruits, particularly pomegranates and watermelons, and nuts are served in this night. The fruits signify the hope for having a fruitful spring and summer. The red-colored fruits are believed to symbolize the crimson hues of dawn and glow of life, invoking the glory of Mithra. Pomegranates with angelica powder are also believed to protect individuals against the Devil. Central Asian countries such as Afghanistan, Tajikistan, Uzbekistan, Turkmenistan and some Caucasian states like Azerbaijan and Armenia share the same tradition as well and celebrate Yalda Night annually at this time of the year. Yalda Night was officially added to Iran’s List of National Treasures during a special ceremony in 2008.